For me, the Lumotec IQ Cyo is the bike light that revolutionized night time riding. 45mph downhill on the ‘wrong’ side of the road, at 4am with 900km in your legs and 3 hours sleep in the last two days? You got it. Working heavy traffic, blasting windscreens to help keep the rush-hour cretins at bay? No problem. Navigating a treacherous canal towpath in the pitch black without dazzling oncoming riders? Priceless. 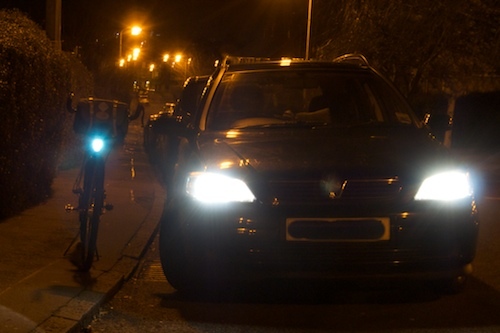 First off – this is a headlight, in the car sense, not a location beacon in the blinkie bike sense. Make no mistake, it is awesome in urban traffic, but if all you need is to spray photons through car windscreens you can get lights that will be just as effective for much less money. Second, the light stays on your bike unless you want to spend five minutes with a toolkit every time you lock it up. I’ve had no issues with this, hopefully because local thieves can’t be bothered to spend five minutes with a toolkit either (for a light that won’t work without a separate power supply!) but YMMV. Although I do now have a dynamo (X-FDD, reviewed elsewhere), the vast majority of my experience with the IQ Cyo has been with batteries, including all of the ~3,500km of Paris-Brest-Paris and qualifiers. It still drives a tail-light when powered by batteries, although I would offer a simple caution that you can easily go off-reservation doing DC power trials, and presumably fry something. Although I’ve run mine successfully at 10V, I did destroy the capacitor on a rear light by plugging it into a mains battery charger… caveat experimenter! 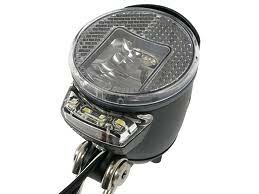 I haven’t got a large amount of experience of ‘proper’ bike lights, as I only started commuting on unlit roads at the end of winter 2006/2007. Big round beam, so half the light isn’t going onto the road – a revelation at the time though. Yellowy, and terrible battery life – I had to ride hard to make sure the battery lasted me the round trip, then recharge every night! 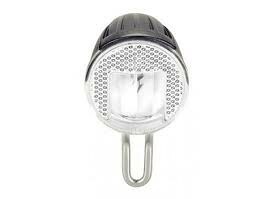 Funky twin power LED lights, very lightweight, much brighter than the above and over 6 hours runtime between charges. Again, big round beam blasting into space, but a cooler light, which is… cool! 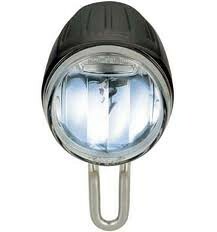 I bought this as a second helmet light so that we both had bar+helmet beams for Glentress. It’s stupendously bright, but only runs for 1 hour (a few on low), and takes odd-sized Li-ion rechargeable cells. Sprays more light into space than a laser defence grid. Of the above, I still have the latter two, although the light from the torch is so badly controlled that I keep it for trail centres only. The Ay-Ups see daily use on the wife’s commuter, as well as a ‘high beam’ / backup light on audaxes (mainly useful for tricking half-asleep randonneurs on PBP into moving to their side of the road because they thought a car or motorbike was coming!). We reduced the cost by buying three sets for just under £300 and splitting them. If I could only pick one light though, it would be the IQ Cyo. It’s cheaper (even including a dynamo hub) than the Ay-Up, and much cheaper if you can use existing batteries. 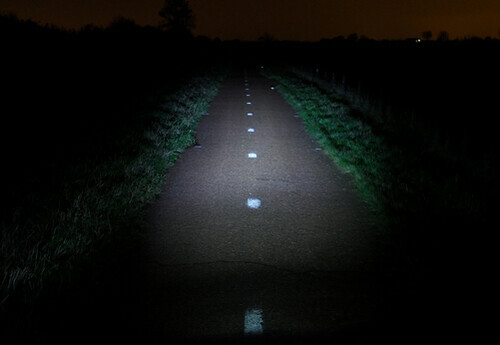 It’s also brighter on the road, despite using less power and giving out correspondingly fewer “headline” lumens. …are not to be found here. Nobody online has managed to capture the difference between headlights in photo form meaningfully, in my opinion. I can’t see why I would be any different! If you are powering the light by dynamo, you’ll notice when you stop that it immediately dims down to a sustainable brightness and maintains that for a few minutes. I’ve timed central Edinburgh’s traffic lights geekily and the longest I’ve ever had to wait is less than half of the time the standlight will stay lit up, and it is lit up brighter than the average “be seen” battery light for that time. If you were stuck for ages at a temporary set of lights or similar, and you aren’t sheltered by a vehicle waiting directly behind, it’s an easy matter to lift up the bars and spin the front wheel while straddling the bike – a few seconds is quite enough for a minute on standby. 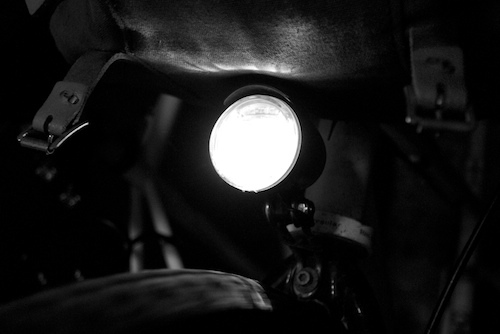 More than any other bike light in the history of human endeavour, the IQ Cyo has a lot of alternative versions. Broadly speaking, you can choose from two primary lenses, the ‘R’ (nearfield) and ‘not R’ (normal). The former takes light away from the road far ahead to focus it just in front of your wheel, in case you are in the habit of riding around very slowly while admiring your front hub. I strongly, strongly advise against buying an ‘R’ / nearfield version of this light. From the diagram, you can see that the area in contention is just 9 feet, and this distance will be covered in 0.5 seconds – even if you’re plodding along just above 10mph! At a more whizzy 20mph, you’re giving up seeing down the road to be able to track an obstacle for the final 0.25 seconds, by which time it would be impossible to avoid it anyway! See also this highly critical review. On left, the odd “nearfield” R version. On right, the recommended ‘normal’ version. All of this is to ignore the fact that the ordinary IQ Cyo casts quite a lot of light on this part of the ground anyway – the much-quoted diagram above is rather misleading. It’s certainly enough to distinguish between the road and a pothole, for instance. It’s not a pool of inky darkness! Either of these lens types can be combined with the optional ‘Senso’ feature. This is nice sounding in theory – the light turns on and off depending on the light levels – but in reality, it will only turn off in bright direct sunlight, so you’ll either select ‘on’ or ‘off’ modes and may as well save your cash and skip this extra. Finally in the alphabet soup are the latest ‘T’ versions, which bizarrely add extra complexity and potential failure modes by fastening a set of mini LED “daytime running lights” under the main reflector, the idea being that you can imitate a car (the light decides when it’s light enough to use the main light). With the IQ Cyo T, your bike can have the same naff DRL look as your car..? However, unlike a car, which burns non-renewable fossil fuels to power 110W of headlights and so gets a significant saving from LED DRLs, there is no real advantage to separate DRLs on a bike light which, at worst, will cause you to be just slightly less obese in the very long term. No, the main beam of the IQ Cyo makes a very effective DRL as it is, especially if you nudge the light a little to apply the dazzling force just below the cutoff to whoever is unfortunate enough to be in front of you… evil. There are three competitors to the IQ Cyo. The Schmidt eDelux is a remanufactured Cyo with a much nicer case and a magnetic on-off switch. Better cooling offers the potential for slightly more brightness, but I have been unable to distinguish this in real life when riding with eDelux randonneurs. Costs £130, and you’re unlikely to ever find it on sale, unlike the IQ Cyo, which is usually available somewhere at well under RRP. Philips make a dynamo light that has a reputation for noticeable extra brightness but awful reliability. They are priced competitively with the IQ Cyo so this is unfortunate – perhaps later batches will be better? Thanks for the review. I have also have Busch & Muller Lumotec IQ Cyo front light but mine is the model number 175QCSNDi which is the Senso Plus I believe. I don’t have the DRL so generally just run my light on during daylight unless I wish to use the dynamo for charging purposes as well. I found your comments on DRL interesting as this is one of the “features” of the forthcoming Lumotec IQ2 Luxos range. 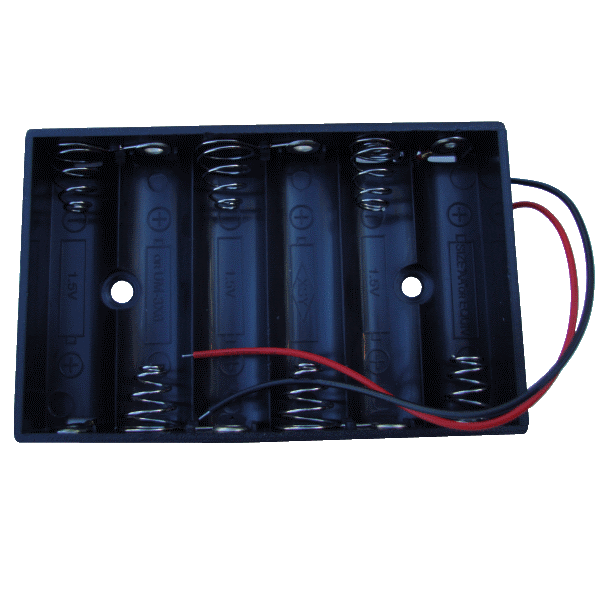 Also interesting to read of comments on using a battery. Hadn’t considered that but wonder if it is worth it given that Busch & Muller do battery powered lights anyway. I wish I had read this before I got my IQ Cyo Plus near field light! Oh well ignorance was bliss because I’ve ridden this happily 600ks and my daily commute which used to be from Dunfermline to Edinburgh. I actually chose it because I liked the idea of the reflector as it would bounce back “full beam” headlights of dipit car drivers, which seems to work as on more than one occasion I’ve had car drivers flash me! I’ve now got a Lumotec IQ2 Luxos and given the IQ to the missus who is also delighted with it but then she used to use a cheapo Cateye so anything would be better. Any chance of some pics of your batter light set up? I a having difficulties visualising exactly what you did. I never realised I could use AA battery packs to provide power. Dd you consider one of those battery cache things. With all the power some of those have you could run the Cyo all night. My cyo runs off my shimano hub happily but a second back up headlight is neded if I am to do any Audax riding down here in Tasmania during the winter. I don’t have any pics, as I stopped using the battery rig when I got dynamos for the bikes. A question on lights. I’ve ridden a bit and been through the dynamos both sidewall and hub etc and moved onto to lead acid halogen then, latterly, cateye triple shot , Magic shine led lights etc ( the cannibalised magic shine rewired are now fitted rearward with a red plastic cover from (vehicle) road kill. I’ve got a 25 mile each way country commute that I do one or twice a week. I’m currently using a Fluxient (allegedly ) 3000 lumen front light with a moon 500 as back up. The fluxient gives a massive flood that upsets drivers who ( on the unlit roads) tend to dip then switch back to full beam in anger… It’s less an issue when angled down and to the verge but you lose the lumens. I’m looking at one of those 60lux b am m iq cyo lights. What I’m wondering looking for is a bright light that focuses up the (unlit) road. Which b and m has a nice tight up the road spot and won’t upset the xenon-headlight high heidians of Strathblane and killearn? Whatever you get, be careful *not* to buy the “nearfield” version (has an ‘R’ in the name) which is designed for slower riding, with more light focused at your wheel. You want the non-R to put light up the road, where you need it when travelling at speed. There’s a new range of ‘premium’ Cyo models that have just been released. They have a better reflector than the model reviewed here and are also significantly brighter. So far I see them only on Starbike, but you may find elsewhere on the Euro sites. (75 EUR well spent). These original ones are still OK, but you can do better for your money..
Another option is to go for the Axa Luxx 70 which I’ve got on my new brevet bike. I haven’t used it enough to recommend it completely, but it’s significantly cheaper at sub-£40 and bright. With the axa do you get glare when you’re out of saddle, design looks like you would. The premium looks good, bike-discount.de due in next month. No option not to have senso, so you’ll need to have DRL to have light during day. Btw I mended my partners cyo bracket (the section that takes bolt) with sugru, early days but holding after a few days action. Hi there, I recently bought a well-used Mercian tourer, crucially equipped with a Schmidt dynamo hub and Cyo Lumotech N headlight. I’ve found that the headlight sometimes doesn’t work, as it gradually fades while I ride until it’s nearly out. If it sometimes works okay but sometimes does the fading out thing I would suspect an intermittent wiring fault between the light and hub. Assuming there’s a bit of slack available I’d start by trimming and remaking the connector end and see if that fixes it. If not then in my experience up by the light is the next most likely place. Worth a try anyway before you write off the light. OK, thanks for the tip. As if it knew there was a danger of being replaced, the light has now been working reliably for a couple of days. I almost want it to start fading again so I can try to isolate the problem.